Instagram is the happy place on the internet. Each year, more users are drawn to the app for the stories, entertaining memes, and professional photos. 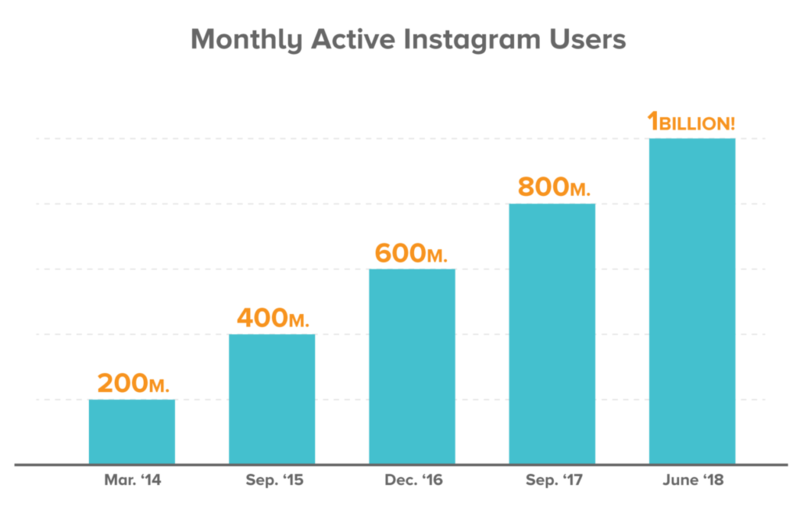 Now, with just over one billion monthly users, Instagram is easily one of the most popular social platforms worldwide. But with so many other users competing for attention, how do you make your content stand out? Here are 5 tips to organically increase your visibility on Instagram and stay afloat in the sea of content. This one should be a no-brainer right? It goes without saying that hashtags are not just for Twitter anymore. Relevant and trending hashtags increase your odds of appearing in other people’s feed and earning them as followers. It’s always worth it to seek out relevant or trending hashtags and incorporate them in your post. Making up your own hashtag for a single post can be fun, but it does nothing to increase your post’s visibility or your following. Location is also going to play a role in how many people see your post. If you don’t think location important, then you might be interested in learning that posts with locations attached get 79% more engagement than posts that don’t. People say this all the time. But what does this mean? Well for starters, DO NOT slack on your caption creativity. Instagram users are looking for accounts they can relate to. The way you caption your photo can actually change the way people perceive it. So tell a story in your caption. Or tell a joke. As long as it fits your brand. The best part about the caption game is that the captions come free. You don’t need a fancy photoshoot or special gear of any kind. Engaging content also includes asking questions in your post or taking polls. These activities help you interact with you audience and build trust. A final tip for creating engaging content is using people in your posts as often as you can. Studies have repeatedly proven that individuals like seeing photos of people. 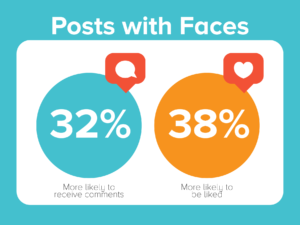 When you post images of people, your audience is more likely to pause and interact with the photo. Instastory is a prime location for interacting with your audience. Not only are the poll and questions feature handy, but you can post stories that will direct people right to your page. The hashtag feature is an excellent way to get your stories in front of new audiences. Do you follow a hashtag? Odds are that if you follow a hashtag you’ve probably watched that hashtag’s story a time or two. Using a well thought out hashtag in your story can lead to it getting organized into the public hashtag story and increase the number of people who view it. Hopefully your story will lead them right to your page. Did you know that your bio is more than just a pick-up line for those who stumble across your profile? Your bio, if well crafted can actually draw new followers to your page. Use keywords in your bio to attract the kind of followers you want. These keywords could include locations, interests, or services. Finally. If you want to make the most out of your Bio section, be sure to add the link to your website so people are directed straight to the source! Since your bio shows up in searches, it also would also benefit you to select a hashtag to guide people towards your page. People like content that feels relatable. This is what makes user generated content so powerful. Once you learn to gather and use UGC, you will add a whole new dimension of authenticity to your page. Consumers are more likely to trust in the quality of a product when it is endorsed by their peers. In fact, users trust UGC content so much that it has a 4.5% higher chance of conversion than one of your average posts. That percentage almost doubles once the user interacts with the post. Not only does your audience like seeing UGC, they often enjoy creating it! Sharpie’s Instagram account is an excellent example of a brand that utilizes UGC to create a dynamic and engaging Instagram feed! Instagram is not as challenging to master as some people seem to think. As long as you use strong keywords and hashtags, your content will have enhanced visibility. Engaging with your audience through this platform is an effective way to build trust and loyalty. Again. Instagram is the happy place on the internet, so find a way to join in on the happiness! !